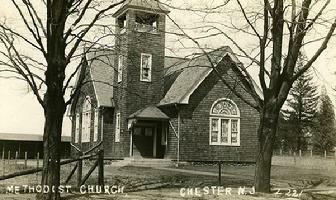 Once Baptist church in Bedminster and it was purchased in 1854 by the Methodist Episcopal Church and moved to Chester during winter of 1880-81 and was placed at the corner of Grove Street and Maple Avenue. It was moved in large sections by six mule teams. 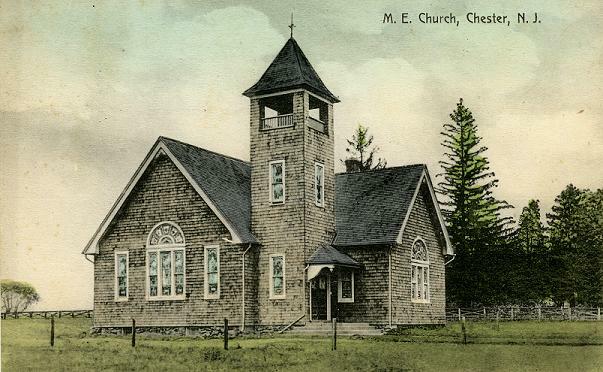 In 1911 a new Methodist Church was built on Main Street and the Township then purchased this building for $550.00 for its Municipal Building. 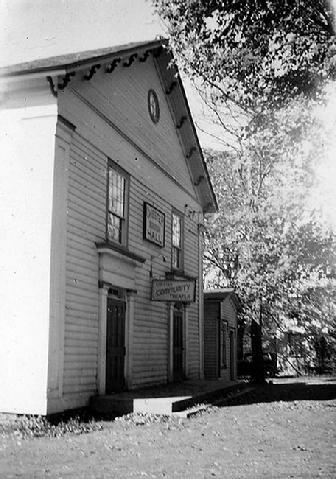 It now belongs to the Chester Theatre Group who performs their productions at the building now called the Black River Playhouse. A quote from the Methodist Conference reads, �one of the most beautiful village churches in the whole Conference � with a bowled floor lecture room opening into the main audience room, cathedral glass windows of elaborate design, modern pews and a choir gallery.� This building was used until it burned to the ground in 1921.